You know, life’s really about the simple things. 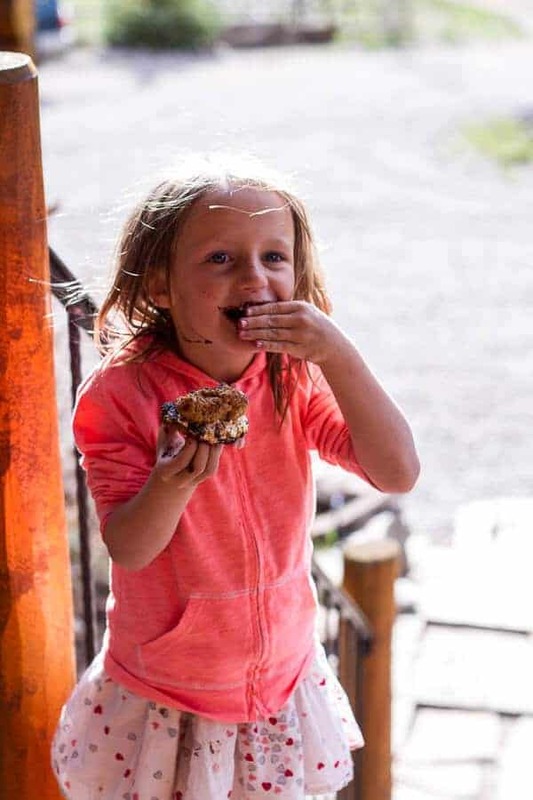 Things like summer cookouts with family and friends, bowls of fresh-cut fruit and um… S’mores. Because a S’more will always be the perfect way to end a summer night. Mmmm, a warm summer night, a beach, a bonfire and these S’mores, what could be better? Well, at least that’s what I’m dreaming of. In all seriousness though, these cookie S’mores where a huge hit. They are nothing fancy, but Asher has been eating them like crazy. She begs for them after school and her cute little smile has won me over every time. We even had some fun taking photos together while trying to eat S’mores. She was definitely all happy, but my camera? Well that could have done without the sticky marshmallow and melted chocolate fingers. Ugh, it took me forever to get it clean. You probably didn’t know this, but marshmallows are also crazy fun to light on fire and then try to photograph. Weird I know, but I had a blast doing so. I actually had a hard time stopping with the marshmallow photos. Pretty sure I went through almost the whole bag just burning them up and taking pictures. My mom thought I was insane, but Asher was in love with me because she got to eat marshmallow after marshmallow. Now that girl knows how to be at the right place at the right time – and how to live up her childhood years. So basically, I used my very favorite oatmeal cookie recipe and just added some graham crackers. Then all that’s left to do is to grab your traditional S’more ingredients. And that they are delicious. And that they are a crazy messy. Which of course can only mean that they are crazy good! In a large mixing bowl or bowl of a stand mixer add the oatmeal, flour, sugar, brown sugar, baking soda, salt, canola oil, eggs and vanilla, beat until the dough is moist and all the ingredients are combined. The dough will be crumbly. Mix in the the graham cracker crumbs and chocolate chips. Using your hands clump together a tablespoon of dough. Use you hands to really squeeze the dough into a ball (It will be crumbly, but just keep squeezing!!). If the mixture is not holding together, add 1 tablespoon more of oil. Place on prepared baking sheet. If your balls are a little crumbly do not worry, they will come together while baking. Repeat with remaining dough. Take two cookies (semi warm cookies if possible) and place two squares of chocolate on the bottom of each cookie. 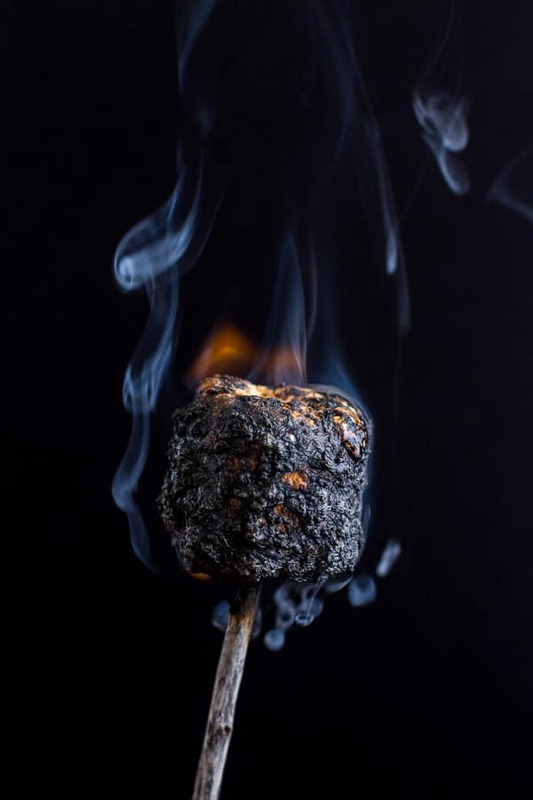 Roast your marshmallow over the fire, stove or in the oven. Place the roasted marshmallows on top of one of the chocolate pieces. 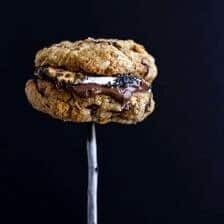 Place the other cookie on top and sandwich them together. EAT! Make as many s'mores as you wish! *Cookies are adapted from my [VERY FAVORITE recipe | https://www.halfbakedharvest.com/moms-simple-oatmeal-chocolate-chip-cookies-best-oatmeal-chocolate-chip-cookies-around/]. I mean, right?!? Ooey, gooey, chocolatey, oatmeal cookie goodness. Nothing better. 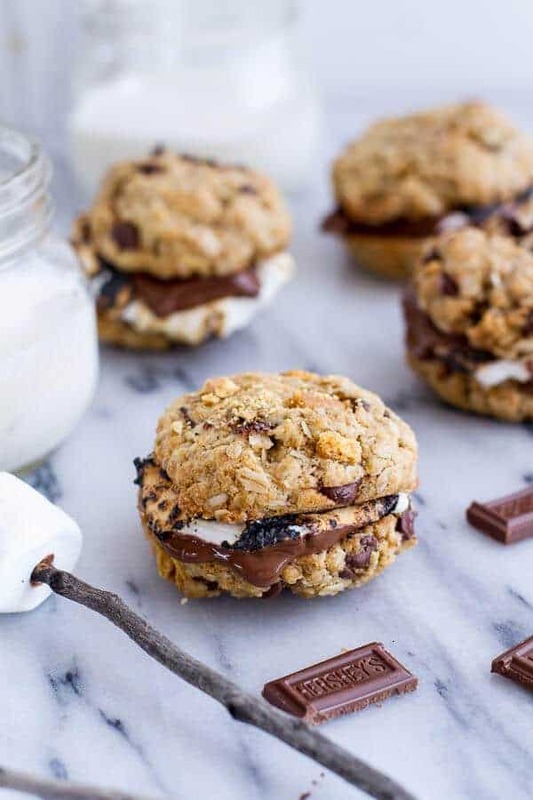 Oatmeal Chocolate Chunk Cookie Stuffed Campfire Bananas. 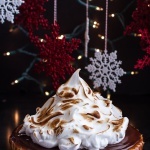 Chocolate Chip Cookie Bottomed Salted Rum Caramel Tart with Toasted Marshmallow. These beat regular s’mores ANY day. These pictures just melted my heart…like that melty chocolate. They are SO cute! And i love me a good messy s’more! Especially when a cookie is involved! Pinned! This s’more is pretty much a giant pile of awesome. I love this! melty chocolate is a must for memorial day. S’mores just bring out the kid in me. Love the moving crusty burst marshmallow, I can feel that chocolate melting in my mouth. Thanks so much and I hope you are having a great Memorial Day weekend! Everything about the post is ridiculous! 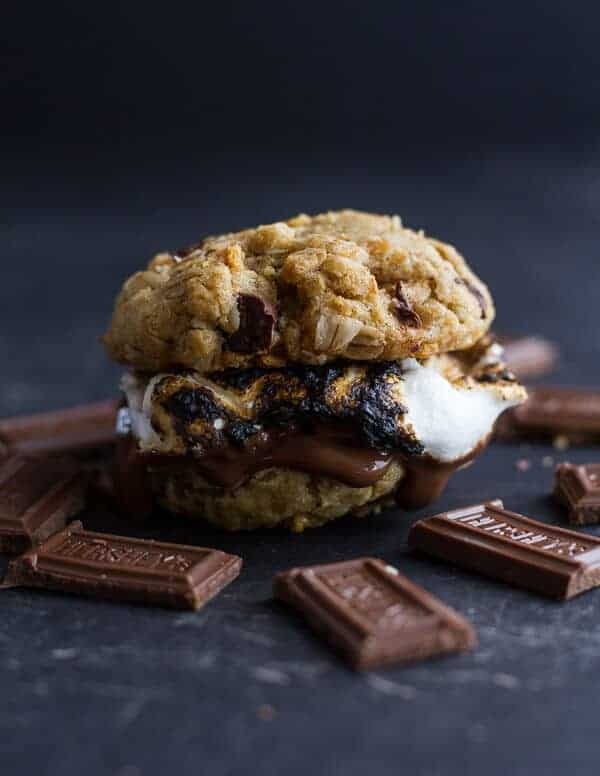 These look insanely good, the only thing I don’t like about smores is the boring graham cracker those cookies solve that problem…I love the pictures of the flaming marshmallows..that picture should be framed and hung somewhere. Thank you so much! 🙂 Have a great memorial day! that marshmallow on fire!!! That’s the only way to eat a marshmallow in my opinion. Love Asher ! These ‘smores’ are amazing and I will be making them this holiday weekend over our firepit! YEah!! I love reading that! THANKS!! cookie madness! I love it. S’mores are always so fun!! I would go crazy for these when I was a kid. Agree! Thanks so much, Todd! Have a great Memorial Day! I literally gasped with excitement when I saw this post. 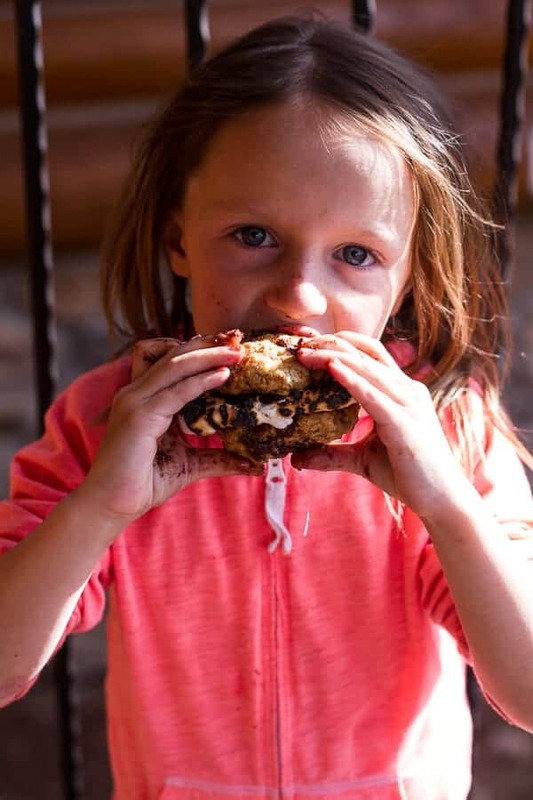 I am a sucker for all things s’mores and your pictures are absolutely beautiful. Thanks so much, Jenna! Have a great Memorial day! Holy cow, now I’m craving s’mores at only 10am. These s’mores are freaking genius, Tieghan! LOVE the idea of using an oatmeal cookie instead of a graham cracker! And Asher is unbelievably cute. 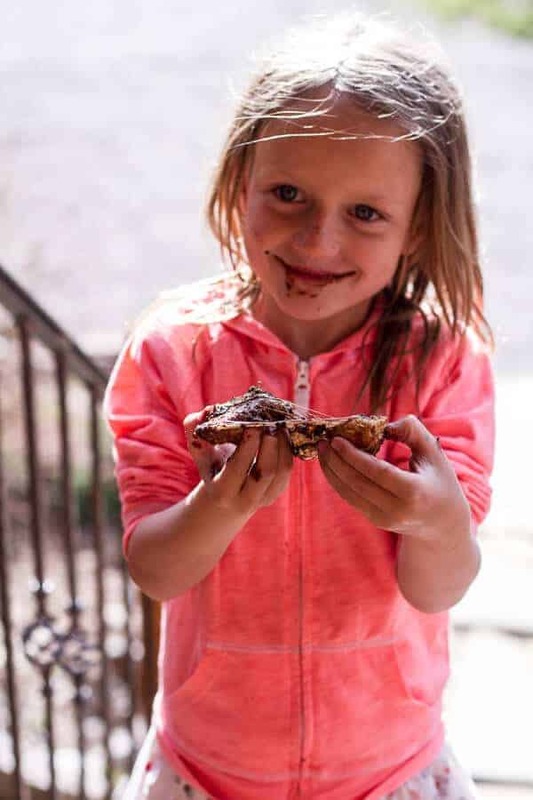 — I love her little chocolate-covered fingers and the excited look on her little face! 🙂 Pinned. Thanks Sarah! Hope you are having a great weekend! Everything about this post is amazing. Amazing cookies, amazing pictures, I love it all! You are so talented, Tieghan! Thank you so much!! Have a great weekend! OMG these look sooooo good, I LOVE the photos too! These look tasty. 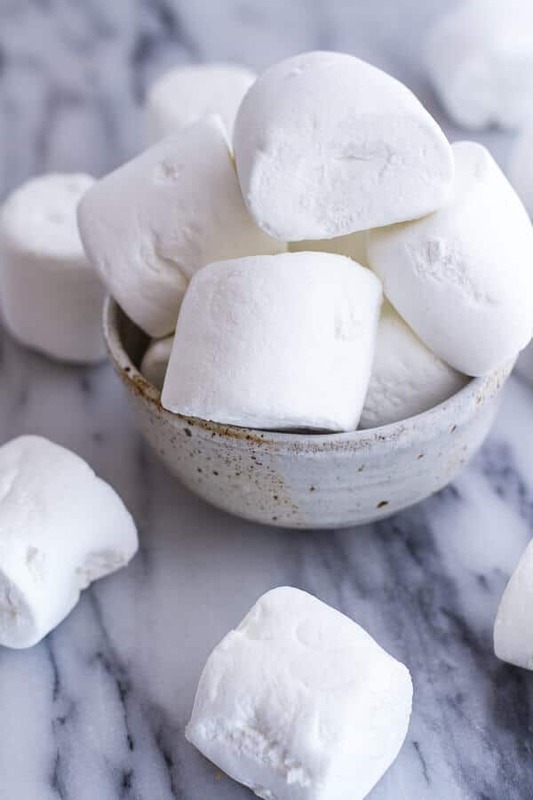 I love roasted marshmallows but only like them barely brown. Thanks Charlotte!! Obviously, I love mine a little burnt. HA! Your photos and gifs are so great! 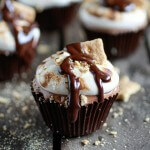 I’m obsessed with s’mores and these are fantastic! Thanks Beth! Hope you have a great weekend! Not only do you dream up these amazing recipes, you also arrange and shoot them in such a fantastic, artful way. My daughter is your age, and I think you both are super talented & I’m in awe of you two! Aww! Thank you so much!! 🙂 I bet you daughter is awesome! To die for, what could be a better afternoon snack?! Love! Mmm, summer cookout contribution, here I come! Thanks so much. Your sister … adorable! And such an awesome cookie recipe – there’s no way these couldn’t be a hit! Now that is pure joy on Asher’s face in those pictures (and chocolate!) – great shots! 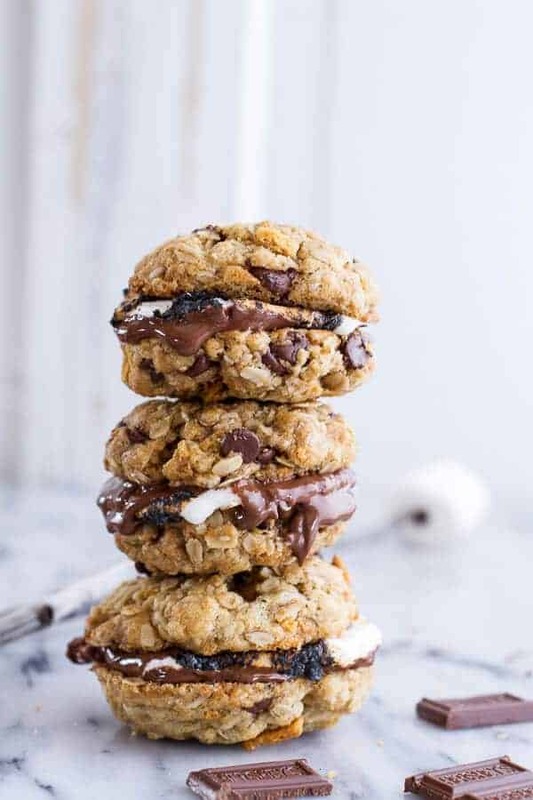 My dad ADORES oatmeal cookies and s’mores, so I’m definitely going to pass this recipe along to him! What a cutie pie and the cookies sound amazing! Hands down, best s’more ever!! 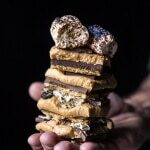 Oh Tieghan….it’s only Monday afternoon here but I can feel my tenuous grip on ‘post birthday treats weekend healthy eating week’ slipping away… It’s definitely not summer here, but I have a feeling that this smore will be more than welcome at a winter gathering…. S’mores are realyy good anytime of the year!! Thanks Amy and Happy belated birthday! So, yeah… these had me drooling all weekend. S’mores are kind of the best creation ever and these just take it to a whole new level. 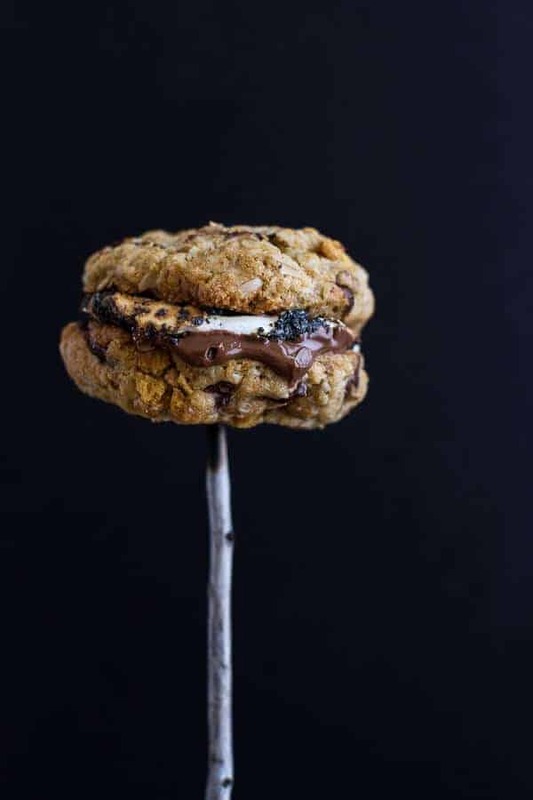 Love oatmeal cookies, and I love summer s’more nights. Looks like I have a new plan. 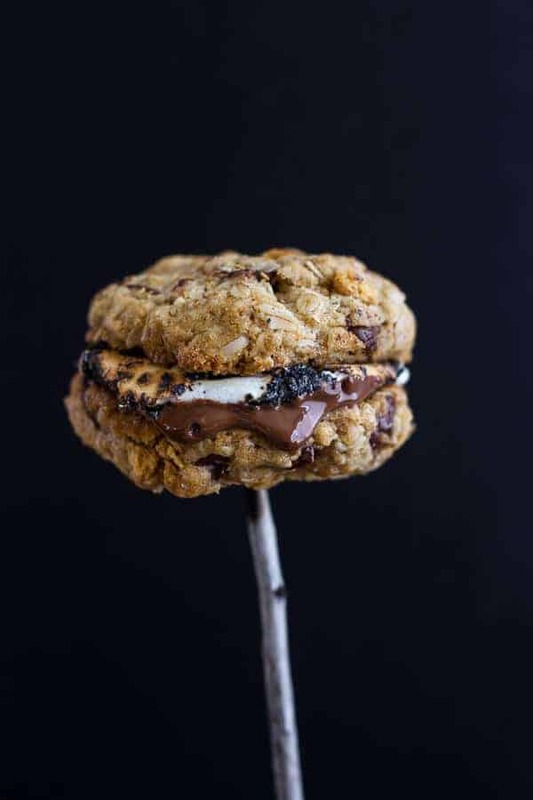 Cookie smore’s – YES please! What a great idea. And your photos are fantastic. I can smell the toasting marshmallows! Yummmmm, I need one of these right now! Oh so good, I can taste it. And that “animated” photos are incredible! 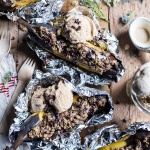 Just made these – they were delish! I subbed Nutella for the chocolate bars, and they were extra ooey gooey good. Thanks for the great recipe! YA! So happy you love these! Thanks Mimi! What a great summer dessert! 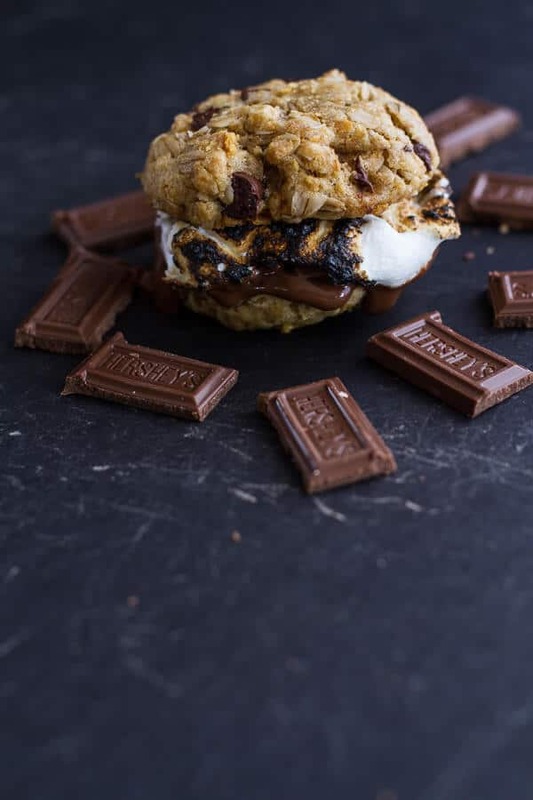 What a great idea to make S’mores with cookies. What a cute girl! a creative recipe to enjoy marshmallows, chocolate chips and oatmeal in cookies! 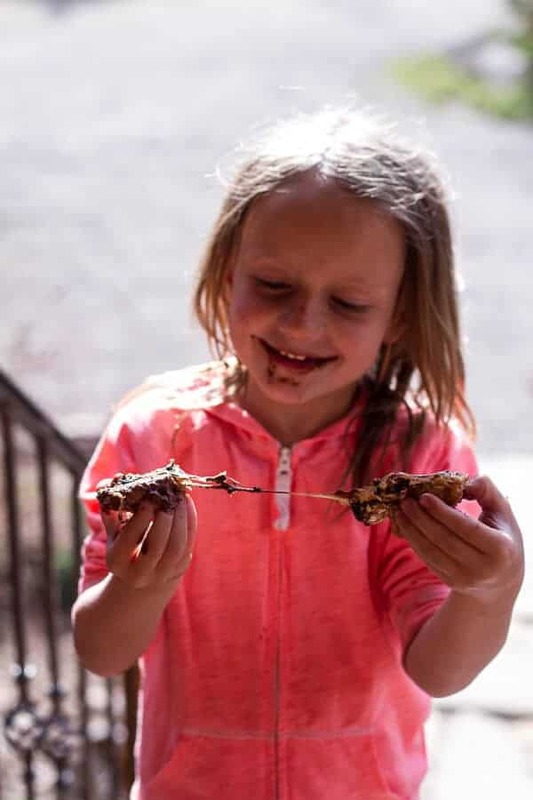 I’ve been craving s’mores lately…even bought the makings, but you have raised the bar! Can’t wait to make these! Yes he said he had a lot of fun & I am sure Tim did as well! I hope you love these s’mores Deb, thank you! !